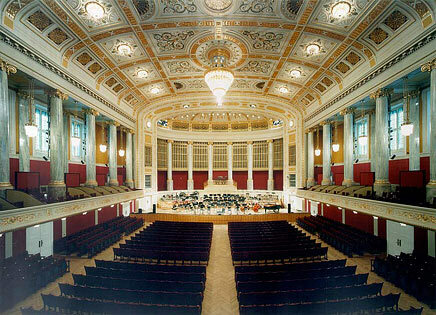 In Europe, the Wiener Konzerthaus (www.konzerthaus.at) ranks alongside the Musikverrein and the Amsterdam Concertgebouw as one of the most sought after locations for symphonic recordings. It was inaugurated on October 19th 1913 in the presence of the Emperor, Franz joseph. Richard Strauss, the most famous composer of the day, wrote the Festliche Praeludium op 61 especially for the opening.